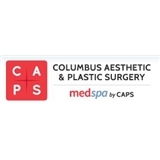 Columbus Aesthetic and Plastic Surgery (Columbus) - Book Appointment Online! Five Board Certified Plastic Surgeons Patients are always looking for the Best Plastic Surgeon in Ohio. Columbus Aesthetic and Plastic Surgery consists of five very talented, experienced and hard working Ohio based board-certified plastic surgeons: Dr. Treece, Dr. Vasko, Dr. Heck,Dr. Wakelin,and Dr Angelos. We several other key players all of whom are dedicated to creating an enjoyable, stress-free and thoroughly rewarding experience for you from your initial consultation to your last post operative visit. Our job is to help you realize your aesthetic dreams and to help enhance the confident, beautiful person you already are. Our practice is built on integrity It is something we take very seriously. You will never see us use false advertising, make exaggerated claims or use misleading photos to bring new patients, like you to our practice.